What does an Oasis Senior Advisors Franchise Cost? Are you looking for a business opportunity that generates a healthy return on investment while providing a lifestyle that will bring you more flexible hours and free time? Oasis Senior Advisors provides a free service to families to help them find senior living communities, whether that be an assisted living, memory care, or independent living community. The communities compensate considerably for the Advisors efforts. Open Oasis Senior Advisors in any of these available states: AL, AK, AZ, AR, CA, CO, CT, FL, GA, ID, IL, IN, IA, KS, KY, LA, ME, MD, MA, MI, MN, MS, MO, MT, NE, NV, NH, NJ, NM, NY, NC, OH, OK, OR, PA, SC, TN, TX, UT, VT, VA, WA, WV, WI, WY, DC. Are you looking for a business opportunity that generates a healthy return on investment while providing a lifestyle that will bring you more flexible hours and free time? Oasis Senior Advisors provides a free service to families to help them find senior living communities, whether that be an assisted living, memory care, or independent living community. The communities compensate considerably for the Advisors efforts. Achieve success for yourself and your family, while making a difference in the lives of seniors and their families. 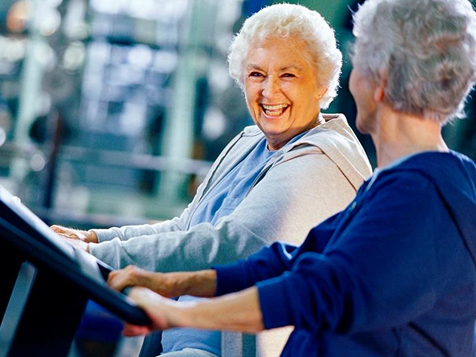 Using a hands-on approach, Oasis Senior Advisors uses deliberate marketing, proprietary technology, and sincere and genuine compassion to guide seniors and families to the proper senior living communities within their budget, geographic area, and according to their physical and mental health needs. Senior living communities need help finding qualified residents as empty beds cost them billions of dollars a year. 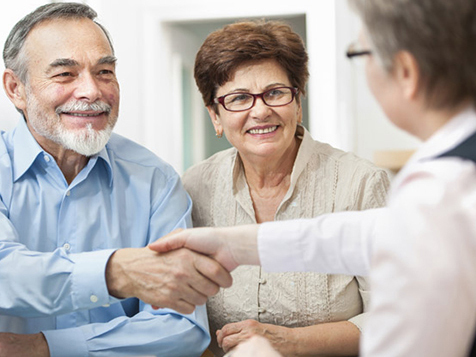 Seniors and their families receive free consultation, personal attention and guidance to direct them through a maze of challenges and choices to the right living options. Geriatric referral sources including social workers, hospital discharge nurses and elder care attorneys appreciate the help transitioning their senior clients. 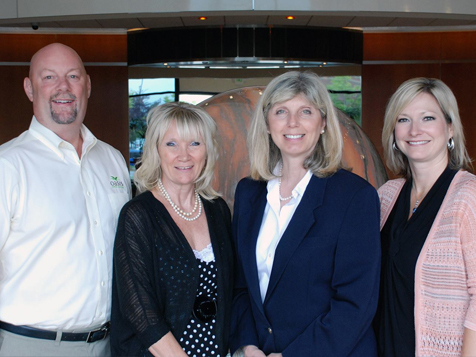 As a franchisee you are compensated for bringing value to senior living communities in your area. You will provide value to other geriatric professionals by easing their demanding workload. Take charge of your future and develop a successful Oasis Senior Advisor's office in your local market. Over the next 16 years, the number of people over the age of 50 will grow 74%, while the number under the age of 50 will grow only by 1% thus creating the biggest caregiver shortage in US history. The lack of workforce to perform in-home care services will force seniors to look to alternative senior living options such as assisted living. The coming years will bring tremendous growth – and opportunity – to the senior living industry. High quality, professional, caring and free senior living advisors will be a much sought-after commodity. Join us on the leading edge of this explosive market by launching your own Oasis Senior Advisor's referral service today. You can take charge of your future and develop a successful Oasis Senior Advisor's office in your local market. The Oasis Business Model Oasis Senior Advisors business model has excellent unit economics, with no employees, no office, little overheard and a low start-up cost. All that and Oasis provides a profound service to seniors in our communities. Franchisees leverage our proven system, proprietary technology, and mature support infrastructure to provide a level of service unique to this still budding, yet already thriving industry. A key mechanism of the model is our senior to community matching technology and business management software (OasisIQ). This proprietary matching technology, developed and managed entirely in-house, allows us to deliver only precisely qualified clients (seniors) to the right communities. Likewise OasisIQ business management functions enable franchisees to maximize productivity and efficiencies. The estimate setup costs of an Oasis Senior Advisor franchise ranges from $59,290 - $93,490. Actual costs vary depending on local market prices. The arrangements negotiated and the business decisions made by each franchise owner are on an individual basis. Oasis Senior Advisors has partnered with two great companies FranFund and Benetrends to offer a variety of Funding Solutions to get you started on your journey to financial independence. When you work with either of these two groups, you will have an in-depth discussion with one of their Franchise Funding specialists. Once they have an accurate picture of your financial needs, they will design a customized funding plan that utilizes just one, or a combination of funding vehicles. They will help design a plan for you to achieve your business goals, making it more economical than ever to succeed with Oasis Senior Advisors. If you're interested in receiving more information about becoming an Oasis Senior Advisor, please complete the form on this page and take one step closer to becoming a business owner.